There is no doubt in saying that Dubai has become one of the highest paying sectors of the world for foreigners. Dubai has a very luxurious lifestyle and because it has ta free salaries, it has become a dream destination for people who are looking for a better life. One of the most significant benefits of working in Dubai is the fact that the economic arrangement of this region is very firm and flexible. There are many multinational companies who have established their branches in Dubai and are offering high salaried jobs to people from all around the world especially engineers. 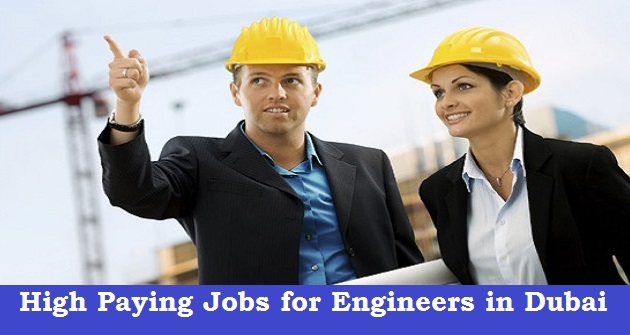 Engineering jobs in Dubai have seen a steady rise in the last few years. Therefore many companies are offering very exciting and challenging jobs to hundreds and thousands of engineers from different parts of the world. Many companies in Dubai asks for these trained professionals to design, build and maintain all types of structures and electronics according to the nature of their job. Many surveys have revealed that growth in engineering industry in Dubai is currently being translated into much higher budgeting systems and more potential trends of hiring competent individuals; with companies competing very profoundly into engineering. Engineers are classified into many categories and therefore according to their qualification, any individual would be hired in view of that. Civil engineering jobs are the ultimate desirability in Dubai these days and therefore many engineers are required to create and protect the environment that we live in. their job is always to design, do planning and oversee the construction as well as maintenance of the busing structures and skyscrapers including different other forms of facilities like airports, bridges, roads, dams, harbors, railways, power plants, sewerage systems and water pipelines. Civil engineers must take feasible and technical studies such as site investigation; they must know how to use computerized programs and must be good and liaising with the clients for more revenue generation. Biomedical engineers also get wonderful opportunities in Dubai as they strive to apply technological as well as engineering principles into the field of medicine. Biomedical engineering as grown very much and has now become the respected discipline of UAE region. Moreover, architectural engineers are also n great mandate by the Dubai authorities. Many leading companies of Dubai need architectural engineers to apply the principles of their engineering to build, to do construction and to designing of the country. Architects are the main reason why buildings and roads of Dubai are as famous as they have designed them in such a way that there is no match for their beauty and are attracting tourists which in turn is increasing its finances. Many engineers who are capable of putting computer sciences and electronic engineering i.e. computer engineers can apply for many job vacancies in Dubai. Many technological companies in Dubai are always looking for people who can design new and unique computer software, hardware and give one stop solution to all their technical problems.